Have you ever felt like you were dealing with someone who was trapped in the past? 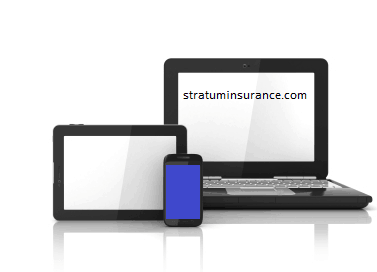 Stratum Insurance Agency LLC is moving forward with the world. From our use of e-signatures to our mobile website designed for iPhones and Android phones (amongst other mobile devices), wecan help you in whatever way is most convenient. Of course, we are still happy to help you if you prefer to have your documents mailed to you. We accept a variety of forms of payments (this may vary by policy type), from credit cards, debit cards, checks, check by fax or e-signature, money orders, cashiers checks, western union, and wire transfers. As part of our greener business initiative we use electronic signatures. We reduce our paper usage by sending documents for electronic signature, when available. It also makes life easier for you because you will not need to get to a fax machine or the post office to return the documents. Do you need to send us a scan of something, but only have your phone or tablet handy? Just snap a photo and send it to us. Only have access to a cell phone or tablet for a few days? In most cases, we use an electronic signature system so that you do not need to print. If you prefer to hand sign and mail your documents, then we will be here waiting. Have a carrier pigeon? Just let us know. At this time our services are available to in over 40 states.